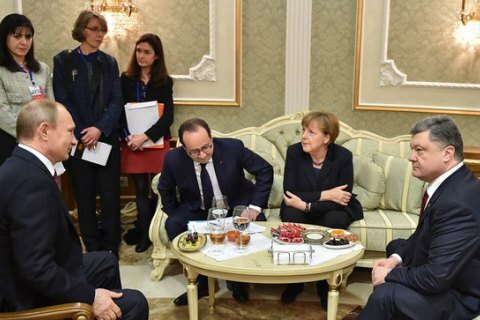 The parties may discuss the implementation of the Minsk agreements and/or review them. The next meeting of the leaders of the "Normandy format" may take place on July 8-9, Stuttgarter Zeitung wrote with a reference to sources in the German Chancellor Angela Merkel's government. According to the newspaper, Merkel is now intensively working on the organization of a new meeting of the so-called Normandy Quartet. In recent years, the chancellor has issued a number of comments about the lack of progress in the Minsk process. "The meeting of heads of state must pass before the NATO summit on July 8-9, in order to reduce tensions," said the source. The meeting can not only discuss ways to implement the Minsk agreements, concluded in 2015, but also to review them, giving them "a fresher look."